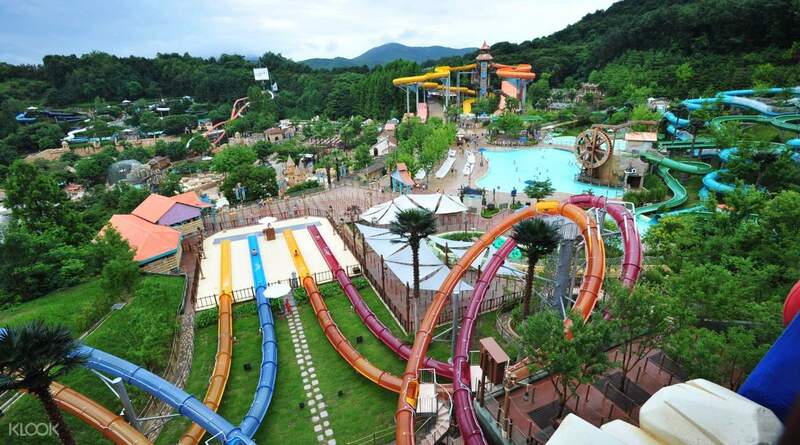 Caribbean Bay is the largest both indoor and outdoor waterpark in the world, conveniently located close to Seoul, and part of the Everland Resort. 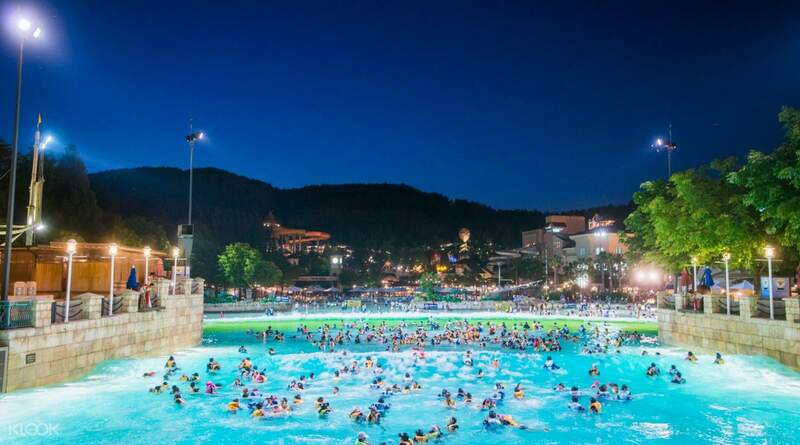 Here, not only can you enjoy swimming and water amusement rides, but you can relax in hot spring waters year-round. Take a leisurely float along the indoor river, speed down waterslides, relax in the hot pools and sauna or brave 2.4 meter waves! This Caribbean-themed park provides a holiday-like atmosphere and aquatic fun for all ages. There's something for everyone in the myriad of aquatic attractions in Caribbean Bay! QR code was easy to use. just go straight to entrance. The weather was very hot. Queue was very very long. Average wait time was 1hr to 80min. Purchase Q pass is recommended. We got there around 2pm, but able to manage to ride all the major rides. We had a blast. we'll come back again. QR code was easy to use. just go straight to entrance. The weather was very hot. Queue was very very long. Average wait time was 1hr to 80min. Purchase Q pass is recommended. We got there around 2pm, but able to manage to ride all the major rides. We had a blast. we'll come back again. NO lines. No queue. more than half of the park was closed because it was not summer season. But it's okay because the main attractions are open. Chicken barbecue was really delicious. NO lines. No queue. more than half of the park was closed because it was not summer season. But it's okay because the main attractions are open. Chicken barbecue was really delicious. Had an amazing day at Caribbean Bay! Overall, though it was quite crowded and had long lines to queue at the attractions, we enjoyed ourselves very much. Had to wait in line for over 90 minutes at the Mega Storm, but totally worth the wait! Would definitely recommend booking via Klook, easy reservation and access, with discount! Had an amazing day at Caribbean Bay! Overall, though it was quite crowded and had long lines to queue at the attractions, we enjoyed ourselves very much. Had to wait in line for over 90 minutes at the Mega Storm, but totally worth the wait! Would definitely recommend booking via Klook, easy reservation and access, with discount! It was raining hard when we arrived at Caribbean Bay but that doesn't stop us to enjoy the place since it do have an indoor water park as well. We enjoyed the sauna and the different slides especially the Mega Storm, a must try and worth the long queue. It was raining hard when we arrived at Caribbean Bay but that doesn't stop us to enjoy the place since it do have an indoor water park as well. We enjoyed the sauna and the different slides especially the Mega Storm, a must try and worth the long queue. Smooth entrance with QR code, staff from information centre are well aware about the location for collecting free sunblock. The facilities are fun yet there were too many visitors despite of crowd control, it took 1-1.5 hours to queue up per ride. Smooth entrance with QR code, staff from information centre are well aware about the location for collecting free sunblock. The facilities are fun yet there were too many visitors despite of crowd control, it took 1-1.5 hours to queue up per ride. Our second visit. Previously went in autumn, and many rides were closed. This time was summer, and everything was open. 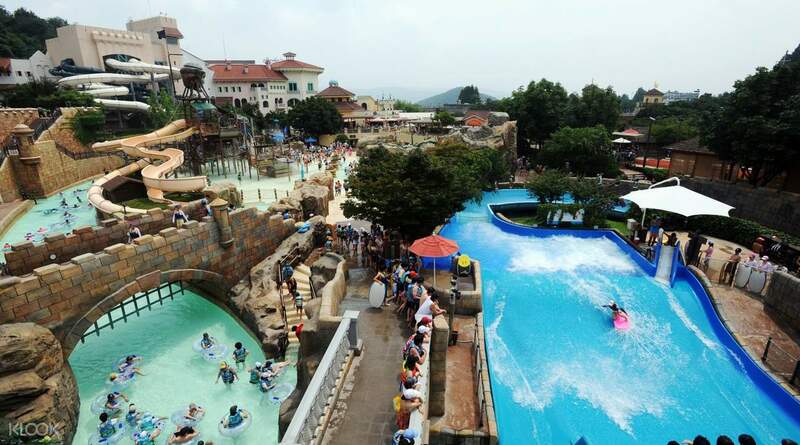 A lot of fun and exciting rides, large wave pool, a couple of spa pools to warm up in. Staff are helpful. Changing facilities and storage lockers are very good. Our second visit. Previously went in autumn, and many rides were closed. This time was summer, and everything was open. A lot of fun and exciting rides, large wave pool, a couple of spa pools to warm up in. Staff are helpful. Changing facilities and storage lockers are very good. Of course it is convenient to book your tickets online! Skip the queue and just enter with the e-voucher (with QR code to scan)! Caribbean Bay is certainly fun with many thrilling water slide! But i would recommend to go during the summer or at least in the afternoon, else you will be feeling cold during your time there. Most importantly, there are many spa pool at the 6th floor and steam / dry spa room! Worth the money! However, i think Caribbean Bay is way too big that requires one whole day to play! Hence, i would not suggest you to go for both Everland and Caribbean Bay on the same time. Of course it is convenient to book your tickets online! Skip the queue and just enter with the e-voucher (with QR code to scan)! Caribbean Bay is certainly fun with many thrilling water slide! But i would recommend to go during the summer or at least in the afternoon, else you will be feeling cold during your time there. Most importantly, there are many spa pool at the 6th floor and steam / dry spa room! Worth the money! However, i think Caribbean Bay is way too big that requires one whole day to play! Hence, i would not suggest you to go for both Everland and Caribbean Bay on the same time. Booking with klook was simple and fuss-free. My husband booked our tickets on the day itself and we received the email confirmation almost immediately. Getting to Caribbean Bay was pretty straightforward although a long journey from Myeongdong. We reached at about 1pm and it was extremely crowded since it was a Saturday. But we still got to enjoy all the rides and even took a few of them multiple times. Would definitely love to visit again! Booking with klook was simple and fuss-free. My husband booked our tickets on the day itself and we received the email confirmation almost immediately. Getting to Caribbean Bay was pretty straightforward although a long journey from Myeongdong. We reached at about 1pm and it was extremely crowded since it was a Saturday. But we still got to enjoy all the rides and even took a few of them multiple times. Would definitely love to visit again!